How Bitcoin Bill Would Look Like ! Bitcoin is a famous crypto currency created in 2009. With its ups and downs, you can win or lose everything ! And as it is crypto, there are no tangible bills…What a marvelous opportunity for a swindler to create a money her own way ! 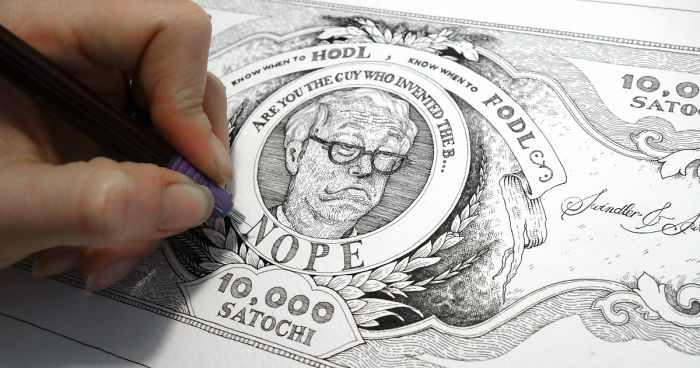 From 10,000 Satochi to 10 Bitcoins, these notes are mixing internet meme with ancient engraving style. The result, highly decorated bills like it could have been in the 19th but with a strong technology behind. 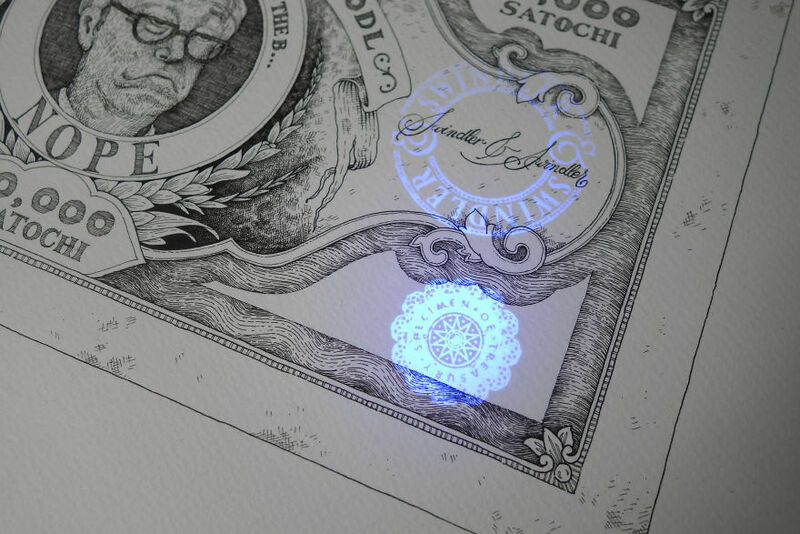 These pieces of art are sold the price indicated on the bill. So no matter what happened on line, if you get one of those you will always have your note on the paper ! Prepare yourself, it is a long scroll ! 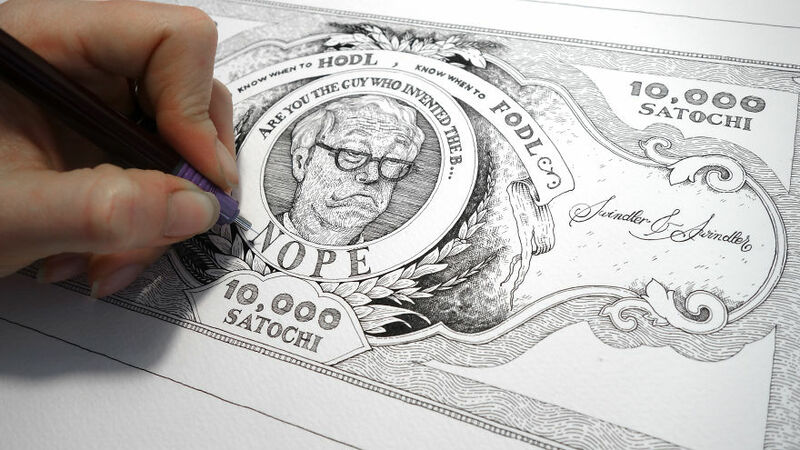 HODL TO THE END ! 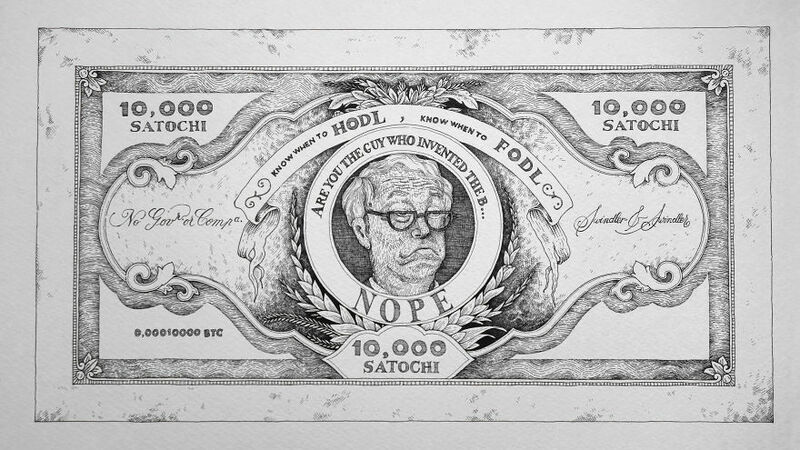 The first one is th 10,000 Satochi bill with Satochi Nakamoto, the name used by the unknown person or people who designed bitcoin. Space required lot of dots and lines ! 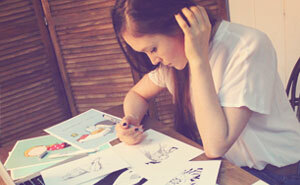 We are two French illustrators focused on type and ornamentation. Swindler & Swindler has been created in 2015 by two french illustrators. 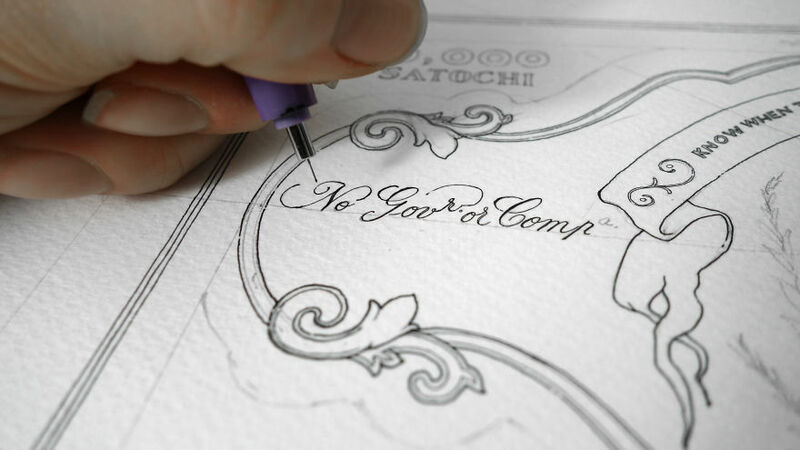 On one side is rigor, precision and control brought by Mr and his type work. On the other side is movement, smoothness and poetry brought by Mrs and her ornamental work. Seperate and complementary these two graphic worlds meet at last and produce these thorough compositions. Thanks Amy for your kind word, yes it is quite time consuming ! But it is my passion and job so I'm more than happy ! have a great day, M.